This is the second of a two part series discussing the differences between simplified and regular dissolution of marriage proceedings under Florida law. In the previous article, we discussed the requirements for a simplified dissolution. Here, we pick up the discussion with a review of regular dissolution under Florida law. Some couples are able to resolve all issues regarding child support, parenting plans, spousal support, division of property, including assets and debts, and attorney’s fees, before the petition is filed. In this case, the couple, by and through their attorneys, can file a written agreement with the court. In other cases, during the course of the proceedings, the couples manage to resolve all of their disagreements on child support, parenting plans, spousal support, division of property, and attorney’s fees. This can occur either before or after mediation. When this occurs, depending on the timing, one of two resolutions can occur. When the agreement comes well before the scheduled final hearing, the attorneys can file a written agreement with the court, detailing all the agreements. In cases where agreement comes close to the date of the final hearing, the parties may still attend the final hearing with a suggested settlement to be offered to the court. It is fairly rare for couples to be unable to come to a resolution on at least some of the issues that present in a divorce. In many cases, couples are able to agree on some things, such as child support, which is largely governed by an application of Florida child support laws. However, there may be disagreement about the parenting plan, or whether a spouse is entitled to spousal support, or how much spousal support a spouse should be awarded. In these cases, the attorneys will first detail for the court the areas which have been agreed upon. Next, at the final hearing (also referred to as a trial), additional proceedings will be required on those areas where the parties have not achieved an agreement. At the final hearing, both parties will present evidence to support their position. Parties will offer testimony. This testimony is subject to cross examination. Parties are also entitled to offer exhibits in support of their testimony. Once all testimony has been provided and exhibits have been entered, the judge will make a final decision about the contested issues. In a regular dissolution that is contested, each spouse testifies, and is subjected to cross examination by the other spouse by and through their attorney. Additionally, in a regular dissolution, regardless of whether it goes to trial, each spouse is entitled, through financial disclosures, to obtain documents regarding the other’s income, assets, debts, and expenses. In a simplified dissolution, on the other hand, the disclosure of financial information is not required. Additionally, the parties are not put under oath to testify about any issues. Instead, the parties proceed based on their understanding of the other party’s financial information as disclosed over the course of the marriage, and enter into a mutually agreed upon settlement. Whether a simplified or regular dissolution is best for you is dependent on the specific facts and circumstances of your case. 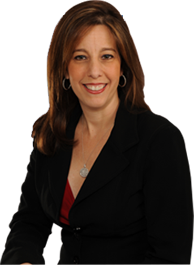 Fort Lauderdale divorce attorney Sandra Bonfiglio can assist you in deciding which path is best for you and your family.